Today, Mali Music has shared a sweet new video for "Contradiction," one of his contributions to the Chi-Raq soundtrack. 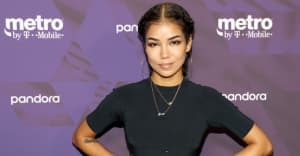 Directed by Davis Silis, the warm video shines a spotlight on the Georgia singer and his collaborator Jhené Aiko. The pair sways gently with a glowing dance club's pretty crowd while singing about the ups and downs of love. “Every so often music videos can stand for something special and important," wrote Mali in an email to The FADER about the video. "Have we become so numb to the senseless violence and other nonsense in this world that people can quickly disappear from our lives we just move on without missing a beat? It’s time we wake up and show each other how much we love each other before it’s too late."